Immigration advocates, youth leaders, and community organizers caravanned from Oakland to Bakersfield, converging in a protest at Mesa Verde, a privately owned detention center. A recent campaign successfully pressured officials for the release of Ghanaian Kwesi Amuse, who was seeking U.S. asylum and was being indefinitely detained. 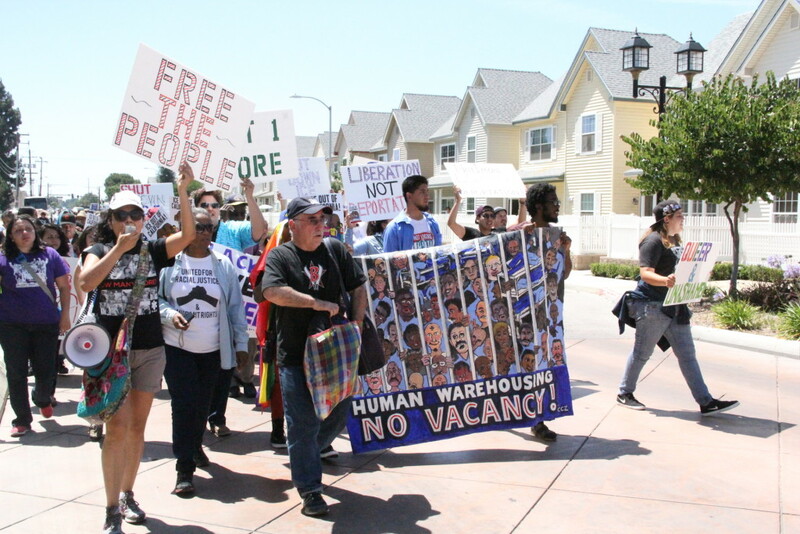 “Black immigrants from Africa, Latin America, and the Caribbean are overrepresented in immigration detention centers at rates of up to five times their numbers among the immigrant community.” See photos from the long distance event, on South Kern Sol. This entry was posted on June 14, 2015 by Editor in South Kern Sol and tagged Immigration, Immigration and Customs Enforcement (ICE), Incarceration, Justice.